So yesterday, something super exciting happened. FINALS ARE OVER!!!! 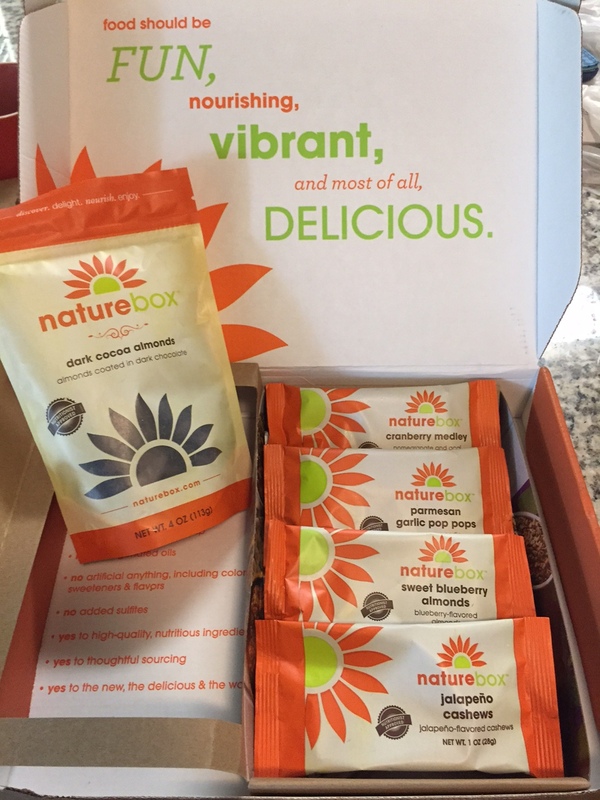 And…I got my nature box and graze box in the mail. And if you know anything about me, you know I was thrilled beyond words. 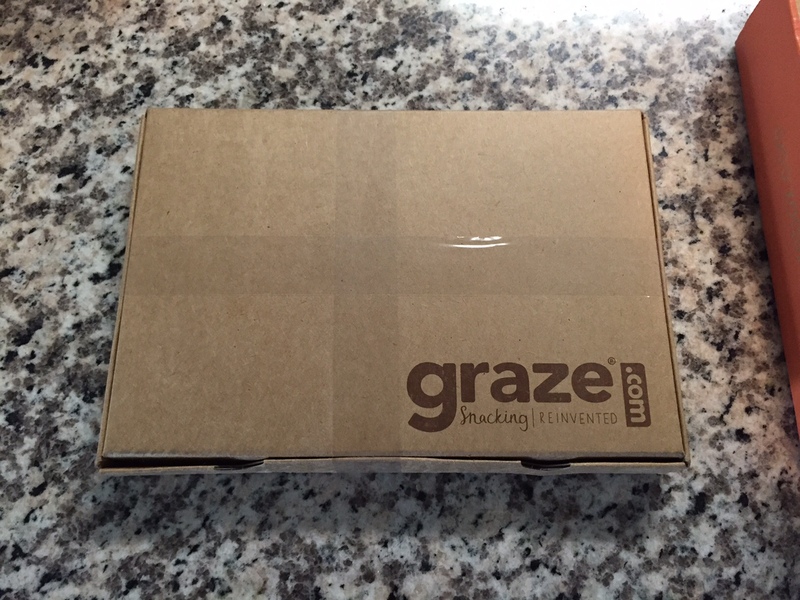 If you aren’t sure what Nature Box or Graze are: they are just two of many companies that deliver out nutritious and delicious healthy snacks to your door every month. I originally saw an add for them on facebook (because facebook naturally already knew food is my passion) and I knew I had to try them out. The cool thing about most of these boxes are that when you sign up, you get one for FREE (which I’m obviously all about) Also, you are able to go on the website and rate certain items that they offer with a good/poor rating based on your personal preference so when you get your box; it should be all things that seem tasty to you! In the box, I received four sample items and one full sized “surprise” item. Jalapeno cashews: 5/5 Probably my favorite thing out of the whole box. 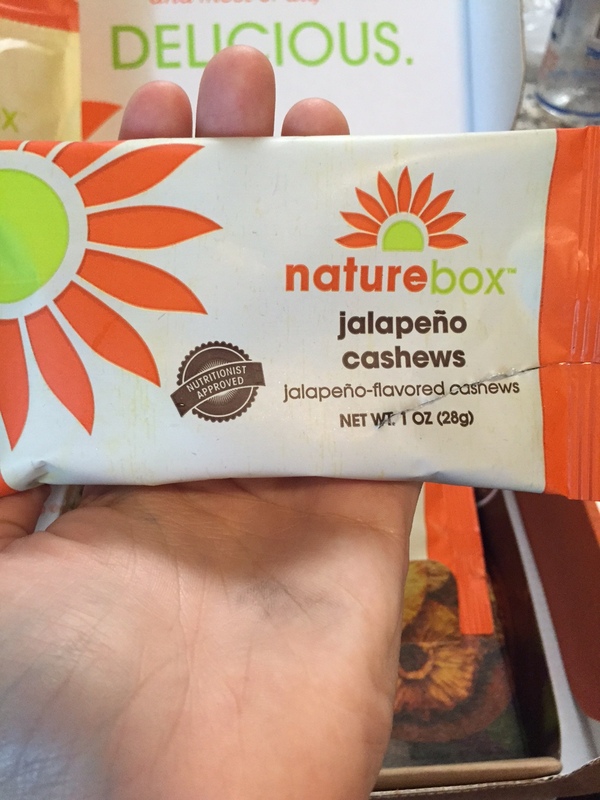 These are simply just cashews dusted with jalapeno powder. 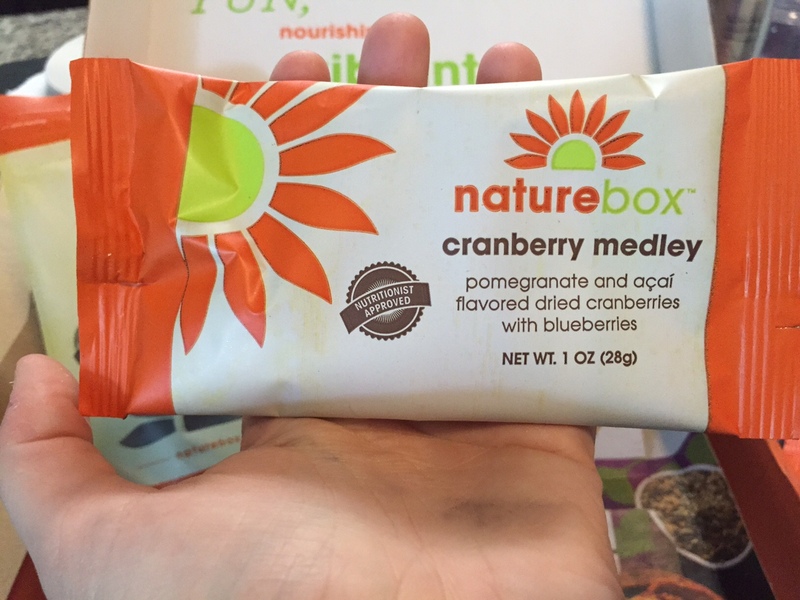 Cranberry medley: 4/5 these would be the perfect snack for some before workout fuel. Pomegranate and Acai flavored dried cranberries and blueberries. 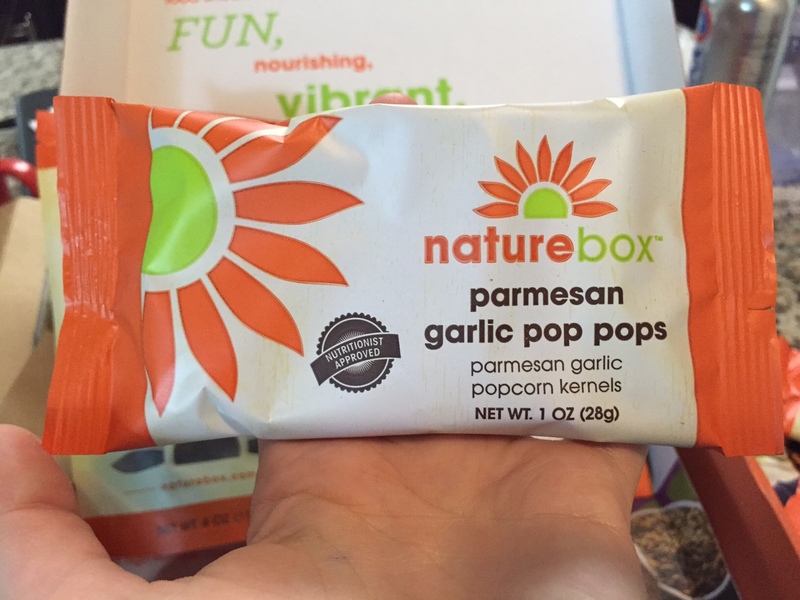 Parmesan Garlic Pop Pops: 4.5/5 These are perfectly seasoned and delicious if you’re craving something savory and slightly salty. They are popcorn kernels lightly dusted with a blend of Parmesan and garlic. Sweet Blueberry Almonds: 3/5 These honestly tasted like gushers, which I’m not sure I really liked or really didn’t like. Simply almonds dusted with blueberry powder. 5/5 Honestly, I would without a doubt order these again. 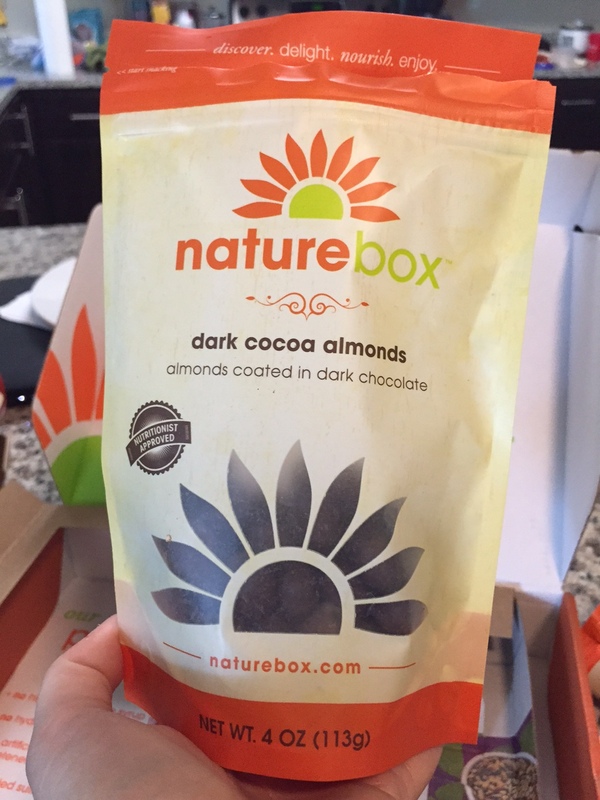 They are the perfect sweet tooth craving without all the carbs and sugar. This box was super cool because the four sample items I received were super unique. I went on the website before my box shipped and rated some items. And turns out, 3 out of 4 of them were ones that I rated and would prefer to have in my box. 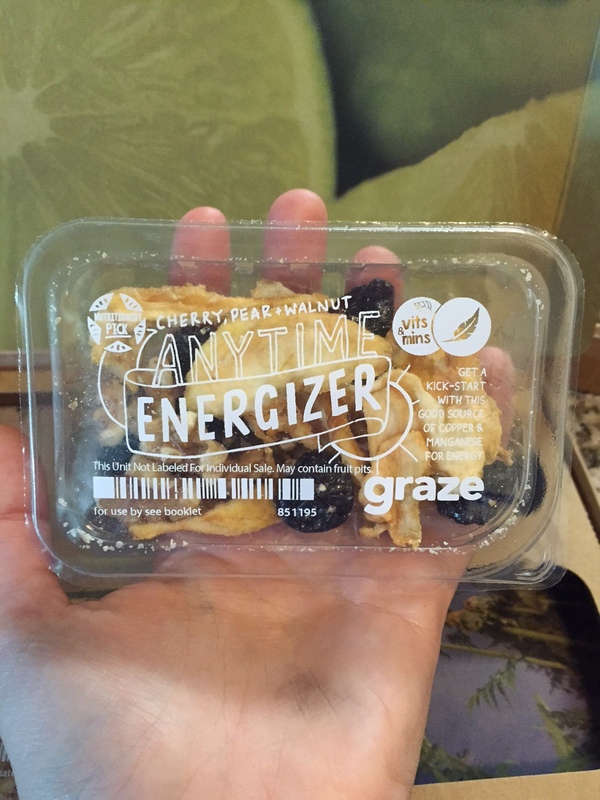 Anytime Energizer: 4/5 Basically just a mix of dried pears, walnuts, and dried cherries. Not a huge fan of pears, but hey it worked out! 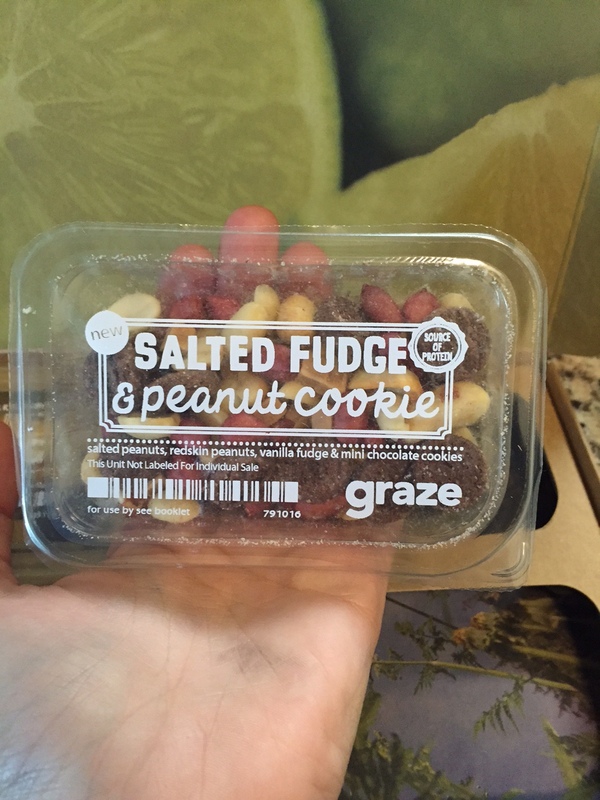 Salted Fudge & Peanut Cookie: 5/5 LITERALLY SO GOOD! and there were tiny little peanut butter fudge pieces that were almost too cute to handle. 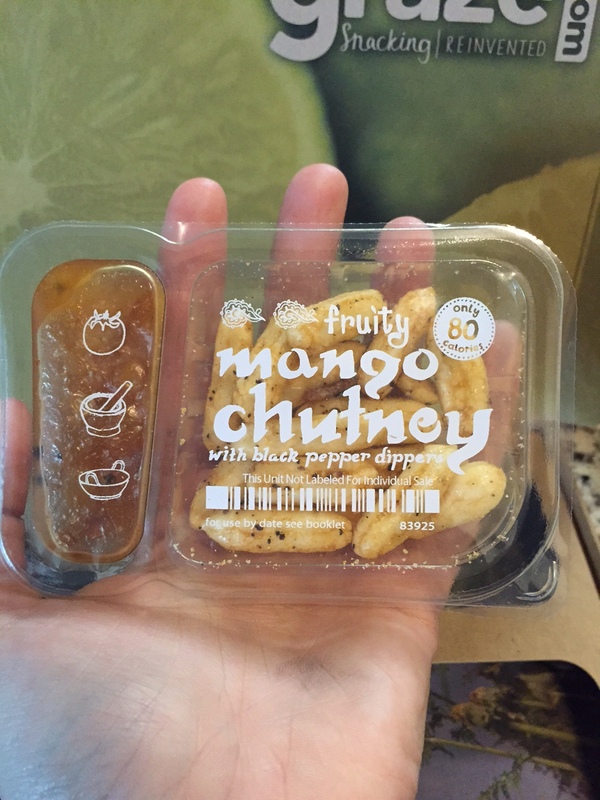 Fruity Mango Chutney w/ Peppered Rice Sticks: 4/5 This chutney was actually very tasty. Perfection proportion of sweet and spicy! Only complaint was that the peppered sticks were a tad too seasoned. 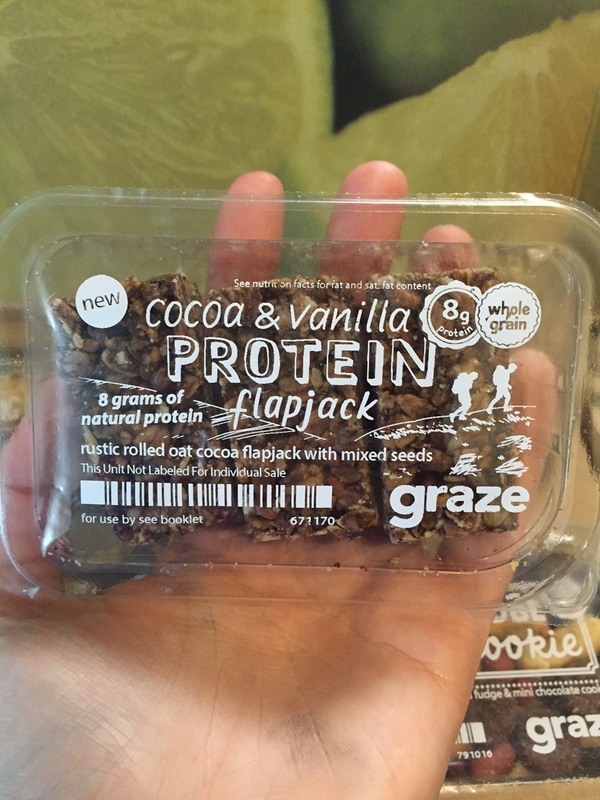 Cocoa & Vanilla Flapjack: 5/5 REALLY FREAKING GOOD. Tasted almost like a mix of an oatmeal cookie and a granola bar. 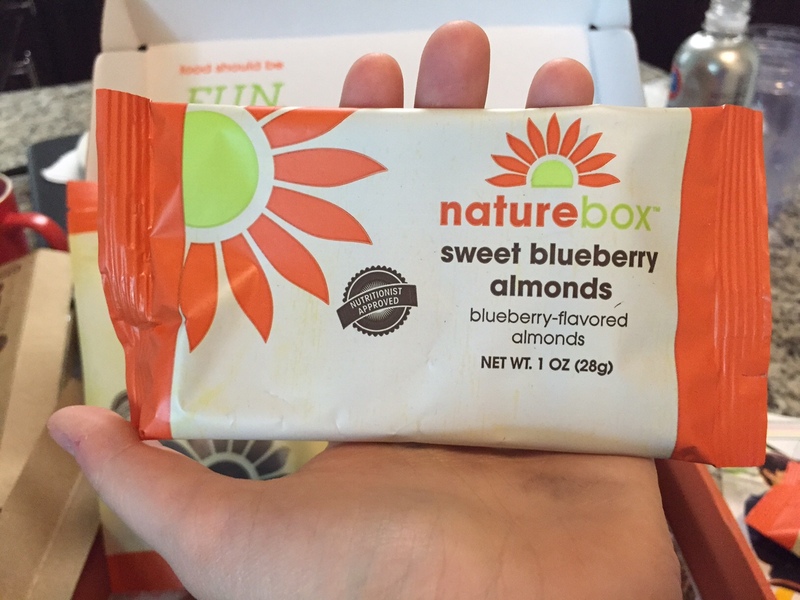 With 8 grams of protein, these are a nice nutritious snack…packed with flavor and a nice crunch! Missing kab kitchen blogs. Have you left the planet?